We believe that organizational learning serves a higher purpose: we aren't just teaching people content, we're teaching people how to work. Understanding emerging trends, and how they'll impact work in the future, allows learning professionals to better support their learners. Virtual and augmented reality is already making waves in the workplace, and by extension, in training. Guest blogger Brigg Patten explores this new technology and its impact on learning and common workforce tasks. 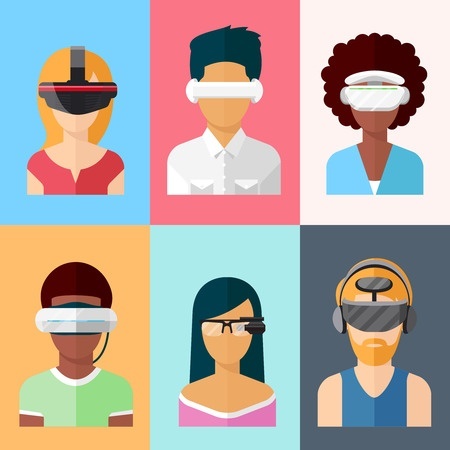 Virtual (VR) and augmented reality (AR) are two technologies that are making waves in the workplace and are set to grow even more than mobile in just a few years. Companies are already making use of tools like Magic Leap from Google, HoloLens from Microsoft, and Facebook's Oculus. AR and VRs don't have restrictions when it comes to their usage in work environments. Although it is not exactly new technology, some companies have not gotten around to adopting AR and VR in their operations. For some companies that provide custom elearning solutions, it is a matter of not comprehending the role that AR and VR can play. Virtual reality works by creating a computer-generated setting that is fully immersive. Augmented reality, on the other hand, is partially immersive as it superimposes computer-generated images on the real world view of the user. Virtual reality has achieved more popularity than its augmented alternative. It has proven effective in taking individuals to environments that would otherwise be inaccessible. Understanding the impact that these technologies have can help business owners integrate them better into work surroundings. Consumers can be hard to convince, especially when selling to them online. Virtual reality has made it possible for customers to get a picture of what they are buying before making a purchase. Take Lowe's, for instance, which is currently letting potential buyers use virtual reality headsets to visualize kitchen remodel furnishings. In such an instance, a prospective customer can easily pick furniture and appliances that will blend with their remodeling theme because they have already seen what they would look like together. Virtual reality can also be very useful in real estate by allowing potential buyers to view every feature of a property. The entertainment sector is one that implements virtual tours very well in the marketing of upcoming movie releases. By creating virtual tours for fans, media companies generate hype by giving people a taste of what it would feel like to be in the film. Hotels are using virtual tours to market their accommodation options, especially those with several properties. Customers can use VR to visualize themselves in different locations and see what it would look and feel like. Some businesses deal with settings that are too costly, too dangerous, or too emotionally charged to be used without extensive preparations. Virtual reality has contributed a great deal to these companies. Take flight training, for instance. A pilot in training cannot fly an aircraft without going through several simulations. Of course, using the real thing is too dangerous and very costly if something went wrong. With virtual simulations, a trainee can get a feel of the real thing and get used to the setting without the accompanying risks. Engineers use virtual reality technology to review designs before working on the real thing. A car designer, for example, can look at an unfinished model and do alterations on the virtual version to see what they would look like. Doing this saves time and costs that would arise from incorrectly designed products. Space centers use virtual tours to prepare astronauts for their experience in space because it would be otherwise impossible to recreate those settings on earth. Augmented reality can allow workers to conduct certain duties without using their hands. Factory workers who need to access data and still complete other tasks can use wearables such as glasses to provide them with the information they require, negating the need to engage the hands. Using AR in this capacity reduces the risks that workers have to face when trying to multi-task in hazardous settings. VR can be used by companies to help workers in different regions collaborate on a project. A good example of this would be having different teams working on various stages of one project but from varying locations. When one team finishes with its share of the project, it can let the others see the progress through virtual reality. Another way VR can help in project management is simulating unfinished works for clients for performance reviews. Customers can easily interact with their projects during presentations. When adjustments are necessary, the customers can point them out. Organizations should evaluate the need for augmented and virtual reality in their operations and get the right applications to meet those demands.